We calibrate soil test results to a specific sampling depth, so it's important to get this right. Immobile plant nutrients tend to accumulate near the soil surface, so shallow sample depths can inflate results. For immobile nutrients and soil pH, sample at zero to six inches. For fall nitrate, sample at zero to 24 inches. 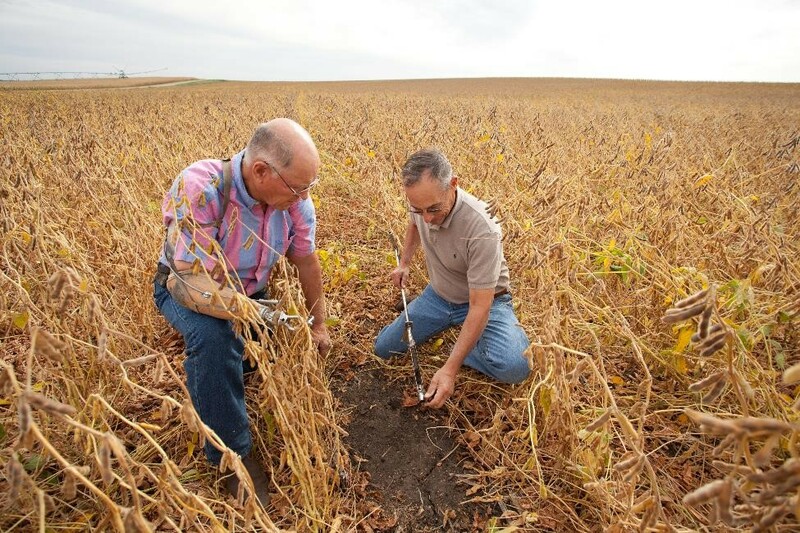 There is no one-size-fits-all soil sampling strategy which works across all fields. The decision to grid or zone sample fields depends on how variable soil tests are within a field. If soil tests are very high then a single composite soil sample may be enough within a field. When sampling in the same field for many years, try to collect individual cores for a composite sample from as close to the same spots as possible. With banded immobile nutrients, collect two to three cores outside the fertilizer band for each core collected from the fertilizer band to ensure your soil test values represent the true fertility of the field. Fertilizer granules are highly water soluble and can contaminate a sample and inflate the results. Allow time for the fertilizer to react with the soil before taking a sample. Don't sample too soon after application, wait a few months after fertilizer application. If soil test values are inflated due to recent fertilizer application, it can result in an overestimation in available nutrients. The time of sampling after harvest matters for a small number of nutrients. Phosphorus and soil pH are relatively stable over time so the time of sampling is not as important. Soil test potassium values exhibit more seasonal variability, caused by dry soil conditions, crop uptake and the release of potassium from residue in the fall. Soil nitrate values can also change in the fall depending on environmental factors in various regions of Minnesota. Due to time constraints, we understand that samples will get taken soon after the combine goes through the field. It is important to try to sample fields at the same time of year so your test values are comparable when looking at long term trends within a field. The power of having soil test data is the knowledge of where fertilizer will make the most sense economically in a field. With variable rate fertilizer applications, you can achieve greater profitability by ensuring that low-testing areas are not under-fertilized and high testing areas are not over-fertilized. In high or very high testing soils, the probability of fertilizer increasing yield drops dramatically. Applying fertilizer based on current crop removal can also be expensive in these situations.